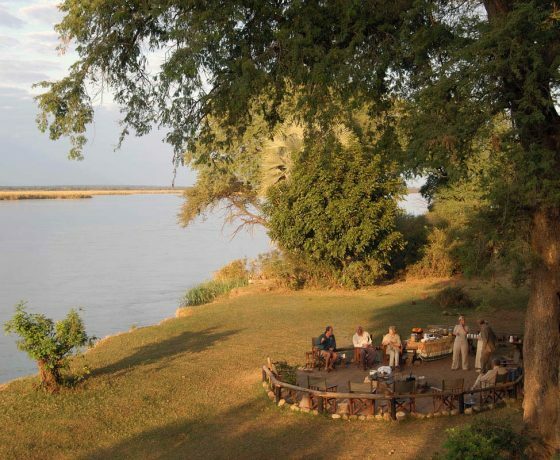 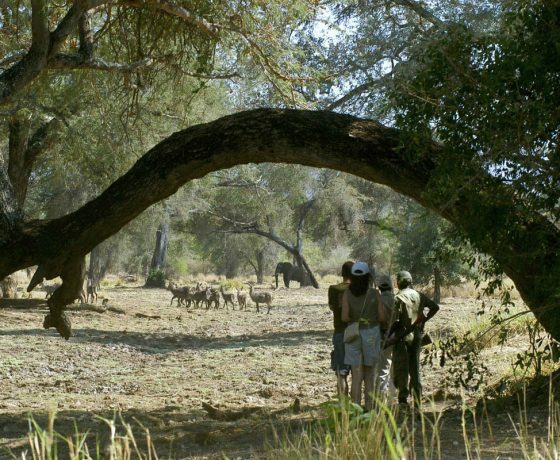 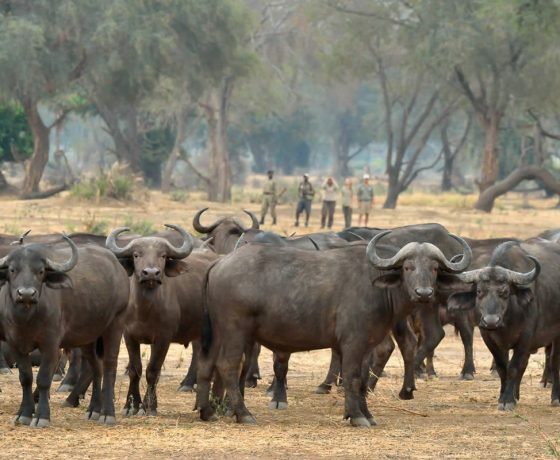 Chiawa Camp is situated in the Lower Zambezi National Park, on the banks of the river. 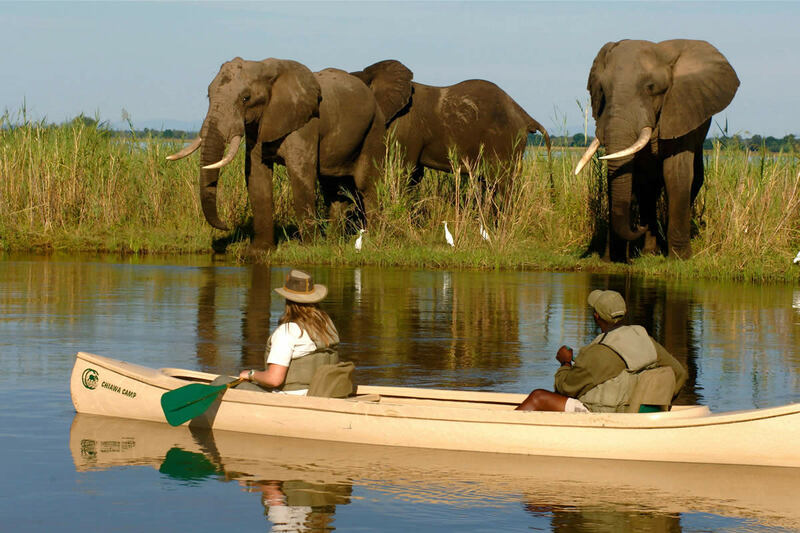 The Zambezi is 2,700 km long and meanders through the park, attracting much wildlife to its islands. 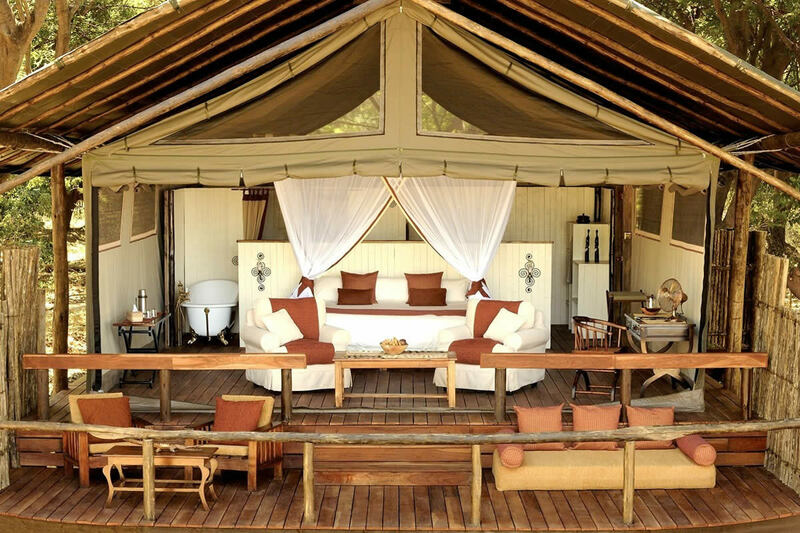 This is a private, luxury camp owned by Grant Cumings, whose family founded the camp in 1989 when it pioneered safaris into the area. 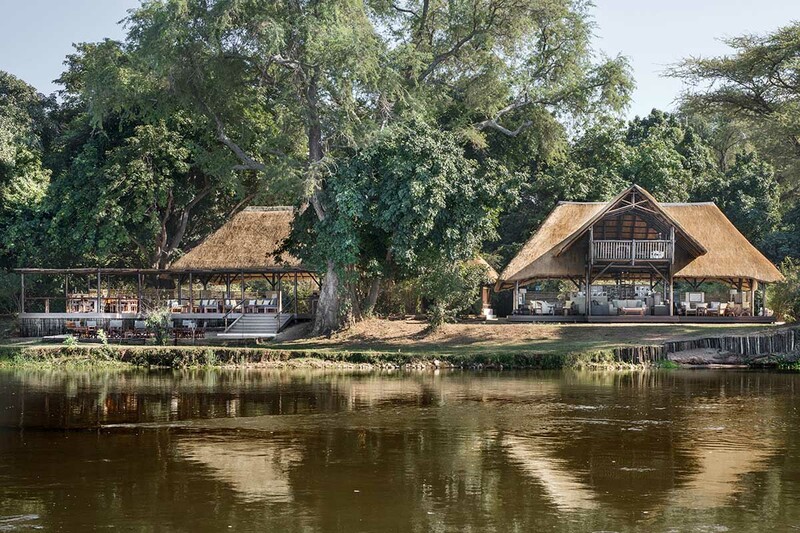 Chiawa is tastefully designed to fit in with its magnificent setting amongst a grove of mahogany and acacia trees. 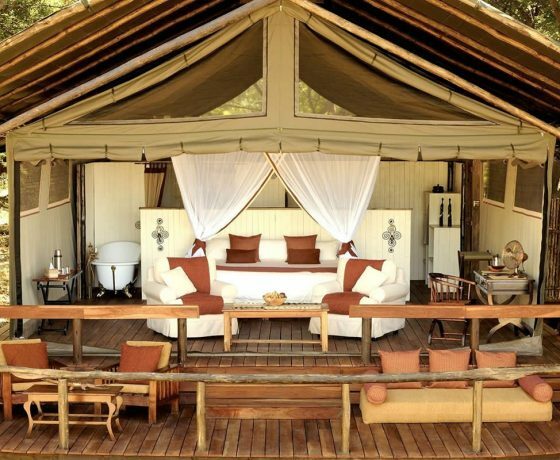 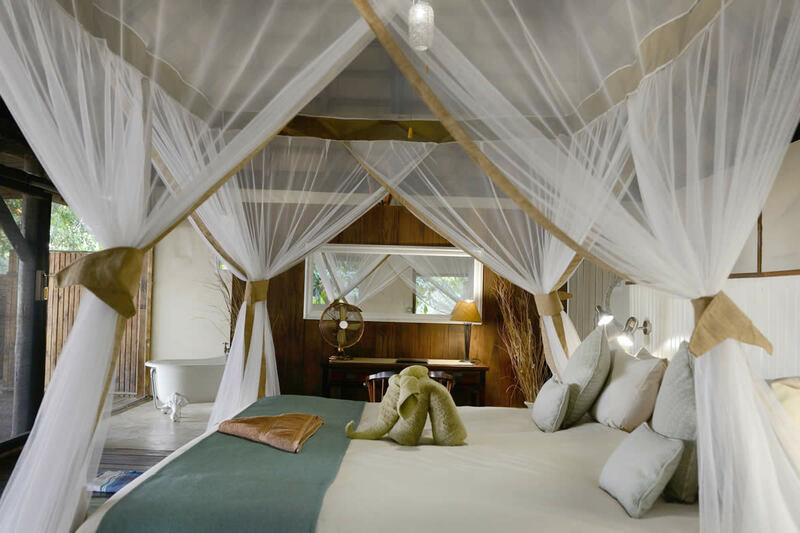 Eight superior safari tents have king size beds, his and hers washbasins, ball and claw bath, indoor and outdoor showers and fabulous views. 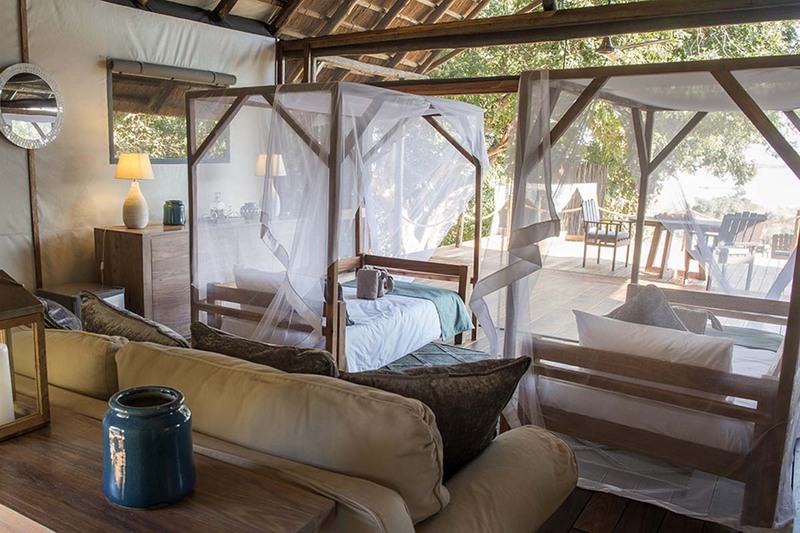 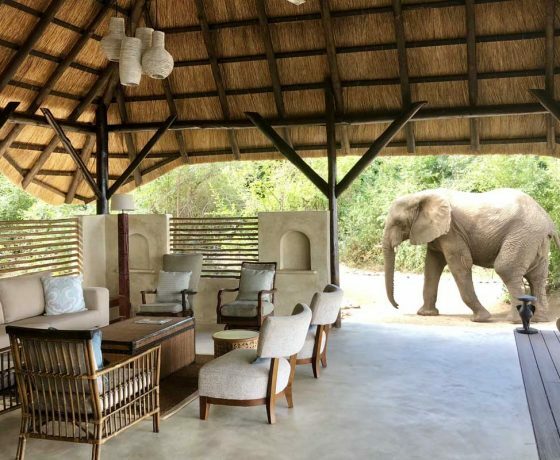 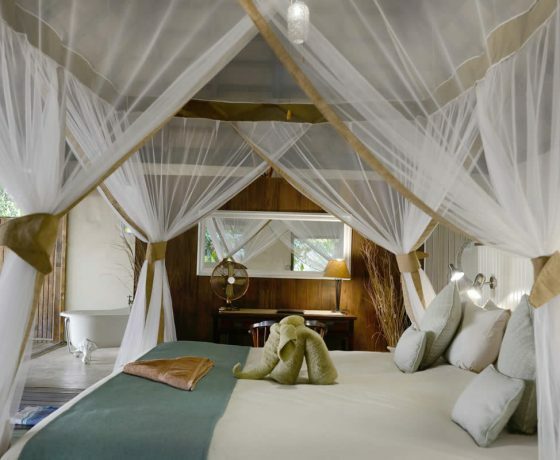 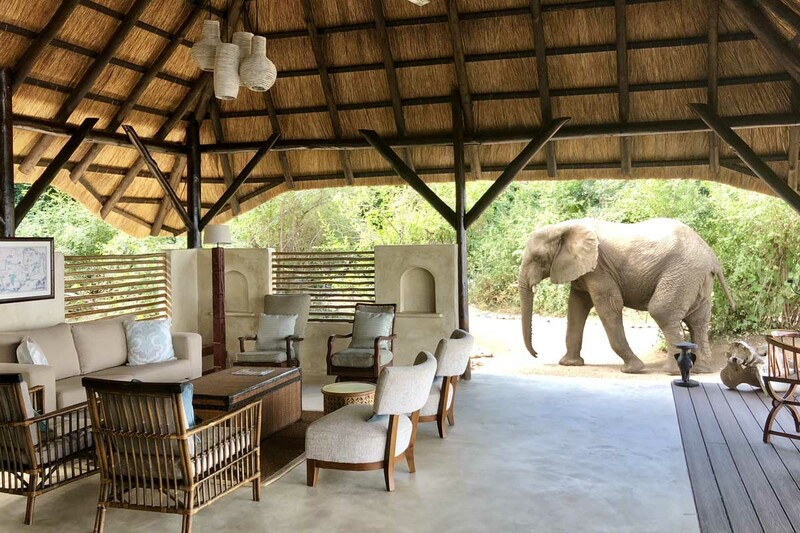 The Safari Suite is a larger room under a thatched roof, with space for children in a lounge area. 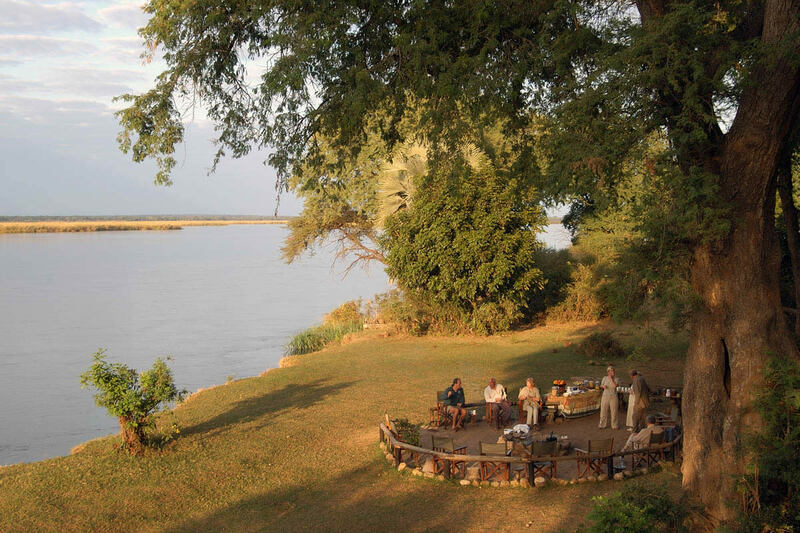 It also has a private plunge pool on its deck, and offers the best views of the river and wildlife and the greatest privacy of any room at Chiawa. 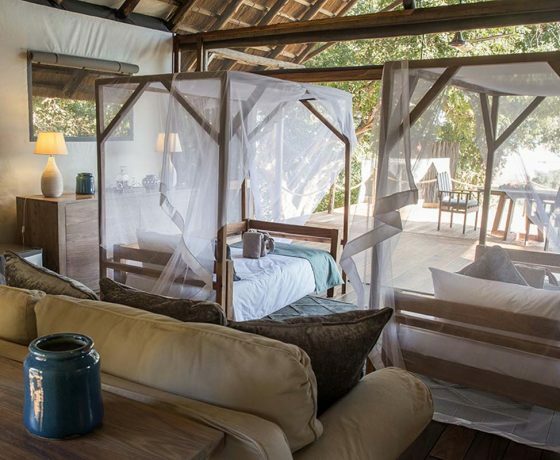 The camp has a thatched lounge with an upstairs observation deck. 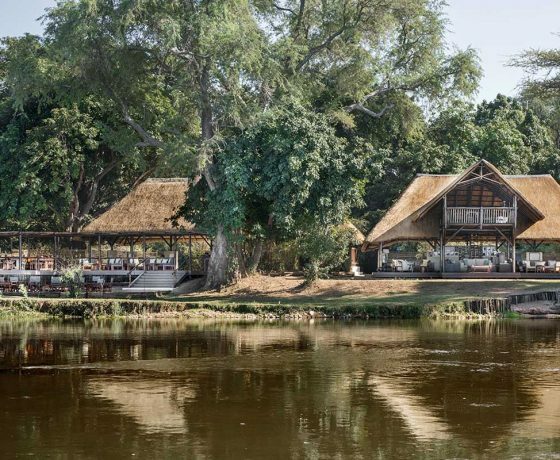 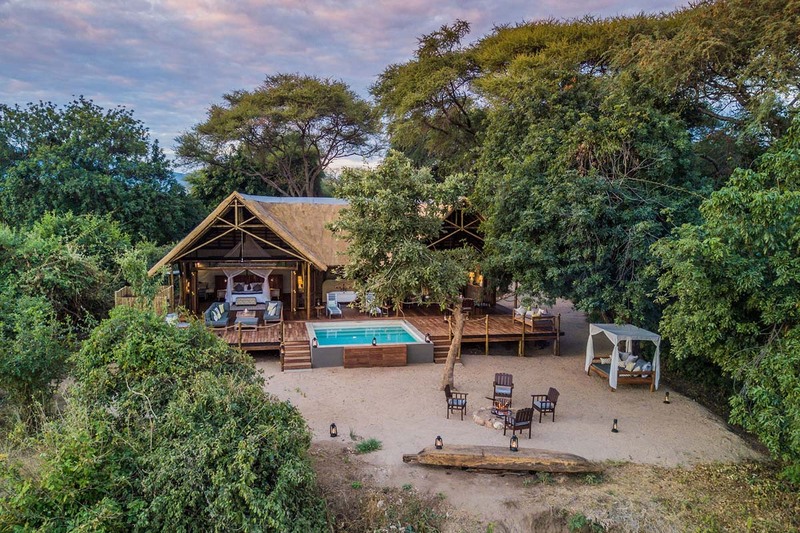 A swimming pool and fitness shack are discreetly positioned away from the the bar and dining areas, which look over the Zambezi River where the animals regularly come to drink around the lodge. 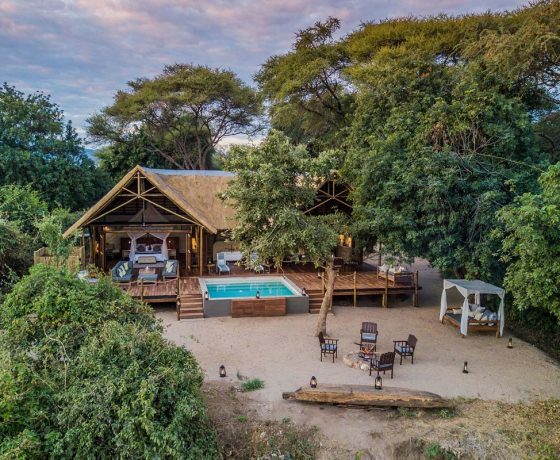 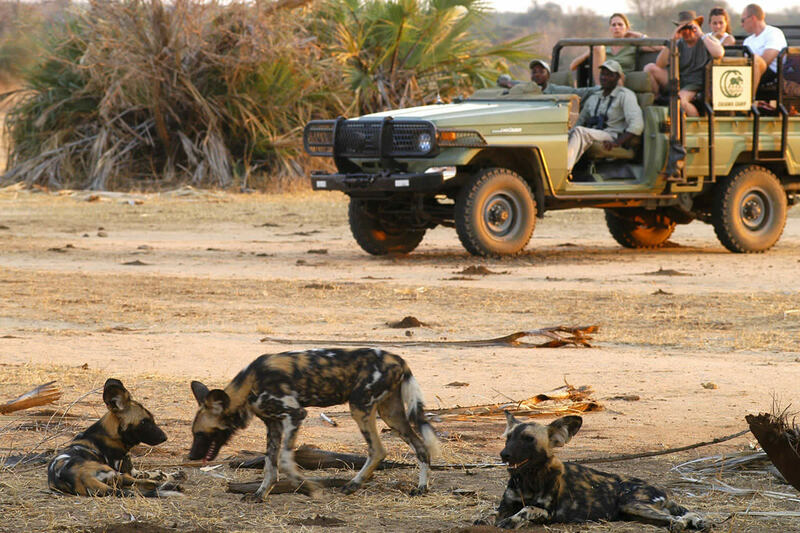 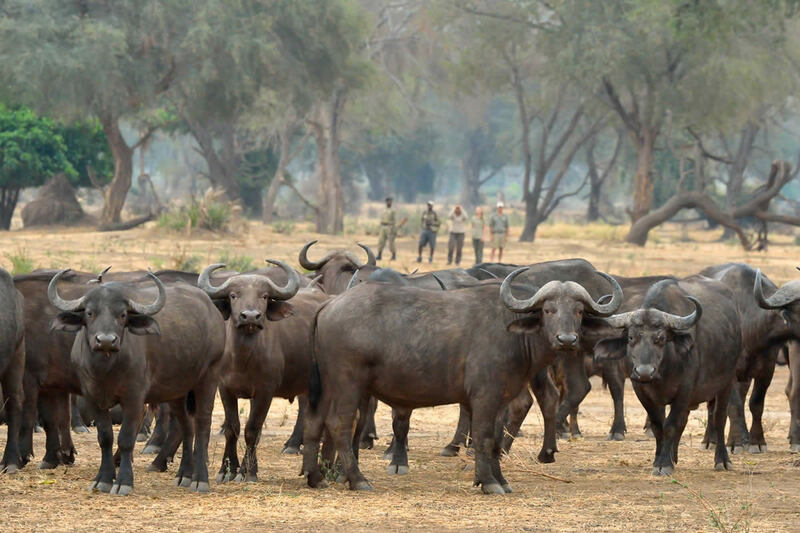 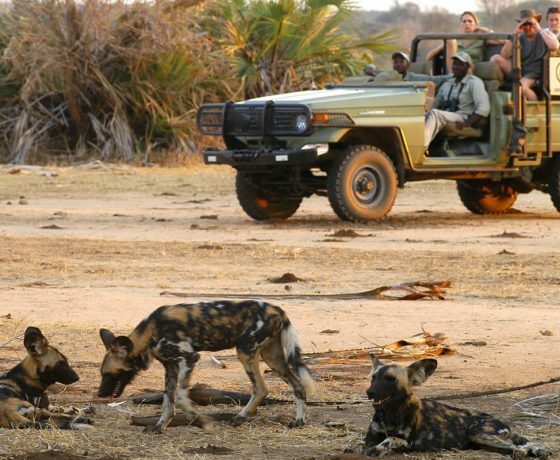 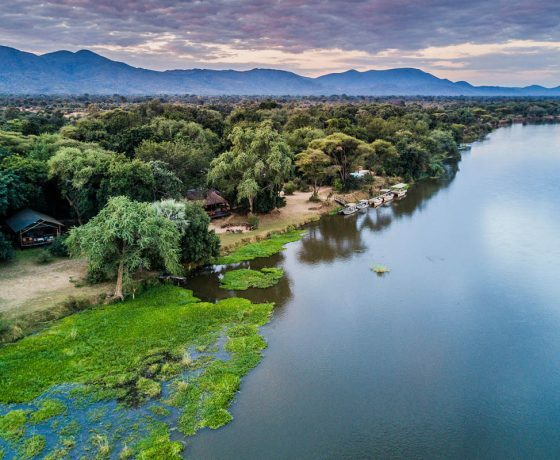 While staying at Chiawa guests can explore the beautiful Lower Zambezi National Park either on foot with an armed guide or can enjoy excellent game viewing on both day and night game drives in open 4×4 vehicles. 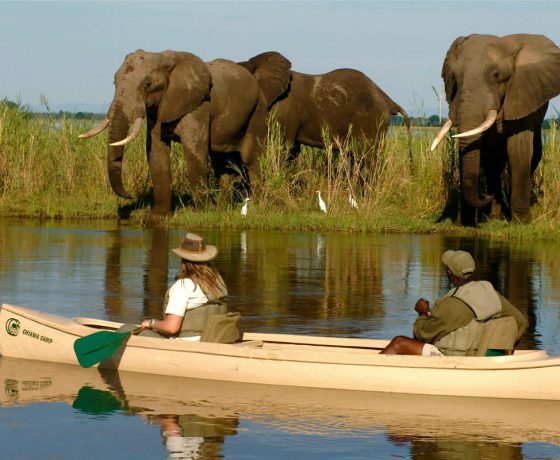 Canoeing on the Zambezi River is also a great way to view the birds and mammals along the riverbank, or for those who want the more relaxed option sundowner cruises can be organised. 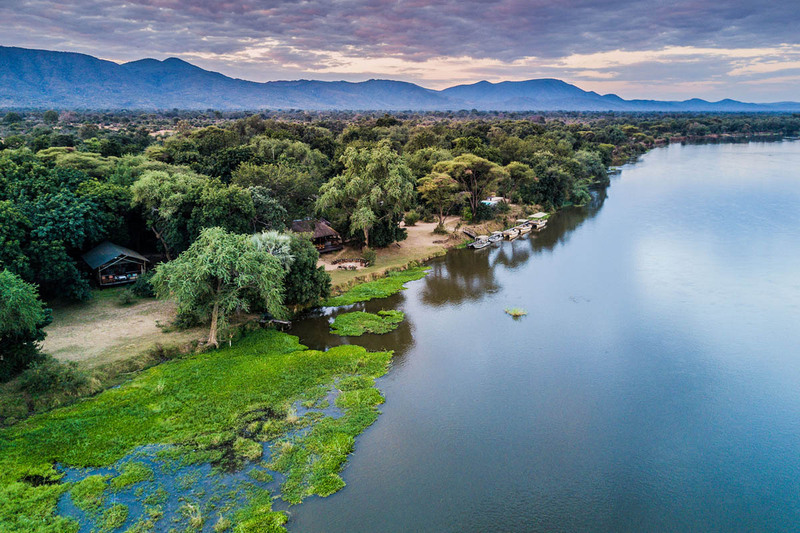 Chiawa’s guiding team is also on hand to assist those who wish to fish for the world’s most aggressive fresh-water fish – the tiger fish – and a strict catch and release policy is observed.